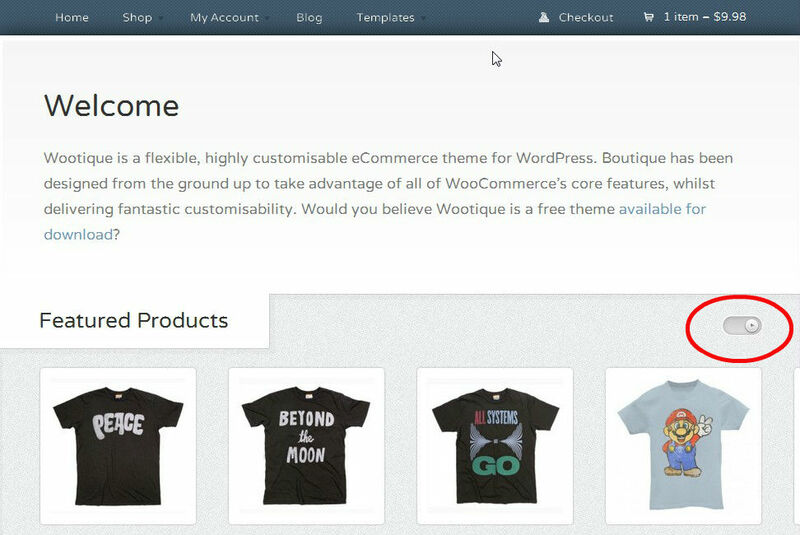 Creating an online store is fairly easy using WordPress… especially if you have the right eCommerce theme. It’s even easier when the eCommerce theme is free! I’ve included a few screenshots for you here, and you’ll also want to check out the demo site. Part of what makes this theme so nice is the “bells and whistles.” A plain image just can’t show these features. BTW, the name of this theme is “Wootique” and it’s available for free from WooThemes. This first image shows a picture of the home page. As you’ll notice, it has a scroll gadget that will scroll through your featured products. If you go to the demo site, you’ll see something even better… those images rotate to reveal links to the products’ page. It’s a great feature that engages your visitor. In this next screenshot, you’ll see this theme has the ability to let your visitor rate and review your products. Again, engagement is the key here. The more ways your visitors can engage (whether is reading or writing reviews) the greater the chance they’ll buy! Finally, I’ve included a screenshot of what makes an eCommerce site tick. Your products MUST be easy to find! Here you’ll see a feature I really like. 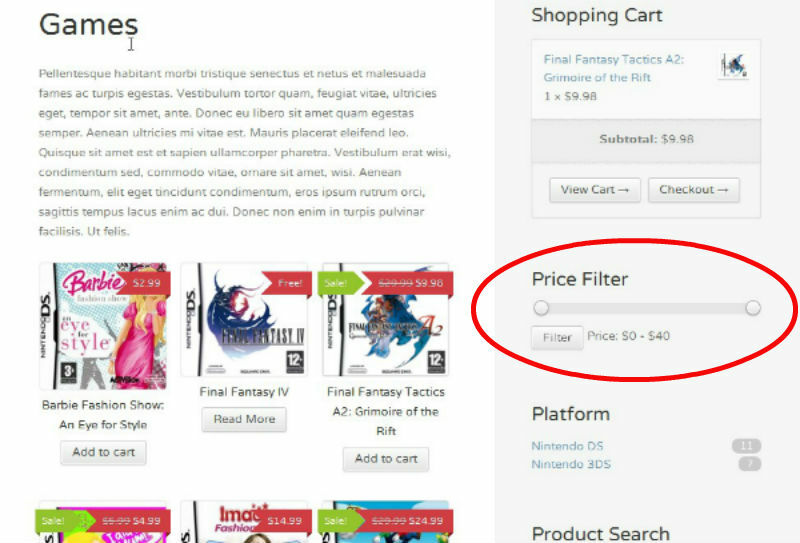 Not only can your customers filter, they can use this great little slider tool. There’s also an ability to search (using a standard search box). Now your customers can shop your online store AND quickly find what they’re looking for! As I said, the images above don’t do this free eCommerce theme justice! WooThemes has really knocked it out of the park with this one. If you’re interested in playing with this theme on your own… click here to visit the demo site. Did you find this post on this free eCommerce theme for WordPress helpful? If so, please like, +1 and share this post! Are you using WordPress for an online store? Do you have plans to build your own eCommerce site? I’d love to hear your thoughts and ideas. Please leave a comment below!